Large Stacking planters that are made to last. 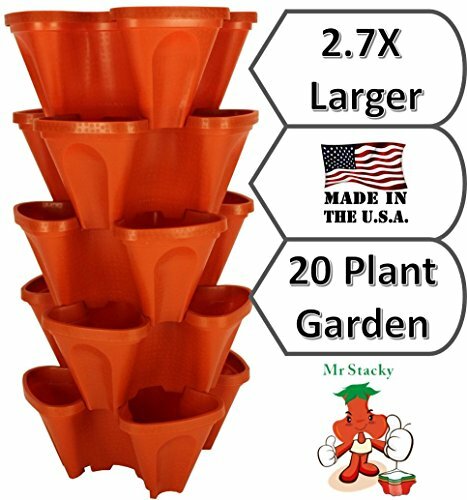 These vertical gardening pots are used by Commercial Growers and Universities. Made Of Food Safe High Grade Polypropylene (#5). Material is strong, flexible, and lightweight. Option to Add Center Pipe For Added Support or DIY Vertical Garden Project. Drainage holes included for top down drainage and watering. Maximum recommended height with support pipe is 10. See what other gardeners are doing on the Mr Stacky Facebook page or typing in #mrstacky. Thank you very much for your business!